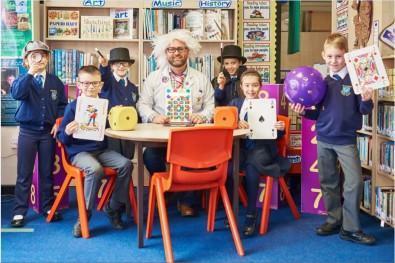 “Professor Poopenshtinken” and his assistant Katherine visited Parkgate Junior School in December and showed the children just how much fun can be had with numbers! This fantastic after school club helps engage children of all ages and abilities with the subject of Maths through really fun and challenging games, tricks and activities. This six-week club started on Thursday 10th January and is now fully booked.